The best auto fill dog water bowl is ideal for pets that love to drink fresh running water and are always thirsty, or otherwise forget to keep themselves hydrated. Automatic pet water bowls, also called dog water fountains, are very convenient for us pet owners as well, providing a solution for bowl tippers and households with large or multiple dogs. There are a lot of models to choose from and they all have their pros and cons, so let's take a closer look. As we have discussed in the dog water bottle listing, proper hydration is extremely important to maintain your dog's health. Same as with most animals, canine body is largely comprised of water, and clean, fresh water is the foundation of health. It's essential for maintaining healthy organs, tissues and supporting dog's blood circulation. Not all dogs remember to keep themselves hydrated, and they don't always use the best source. Many dog owners believe that their pet will just drink enough water all on his own. Unfortunately, this isn't the case. 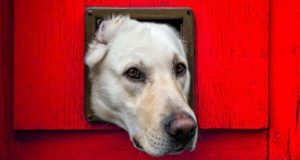 Veterinarians have said many times before how if a pet does not have access to fresh water, they may choose to drink from your pool or other bacteria-contaminated sources. They will also go without drinking if the provided liquid doesn't entice them. That's why having an automatic water bowl for dogs will ensure your Fido has always access to liquids which are far more enticing to them. * Click on the dog water fountain brand for more information and prices, or scroll down below for more details. Dehydration in dogs is a very serious and, unfortunately, common problem that vets regularly encounter. The result is dog's kidney disease and potential failure, which could be fatal. It's not that unusual to forget to replenish dog's water bowls, and if you don't provide enough water or the water is not enticing, your dog will go without drinking it. To understand dehydration in dogs better (and how to prevent it), I recommend you taking a look at this science-based document (PDF), created by Penn State College of Information Sciences and Technology. 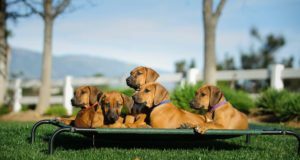 They explain why dogs go without drinking and how you can avoid that. You can also use one of these best auto fill dog water bowls that continuously circulate water to keep it fresh, cool and – most importantly – enticing to your pet. This is much more appetizing to a dog than stagnant water that has been sitting at room temperature in his regular dog bowl all day. 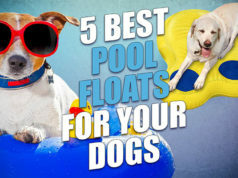 They are likely to increase your dog's water consumption. PetSafe has taken a bold step with the Drinkwell Ceramic Pagoda Dog Water Fountain and combined a functional water bowl with a home accessory. This hygienic and easy to clean fountain pours fresh, filtered water that encourages your dog to drink more. Designed with both form and function in mind, the Pagoda will blend in to any room. PetSafe has opted for a non-porous ceramic design for its great look and ease of cleaning. It’s also a safer material for your pet than plastic, which can contaminate water. The dual free-falling streams and oxygen keep the filtered, odor-free water fresh. This best auto fill dog water bowl is top-shelf dishwasher safe, too!. With the capacity to hold 70 oz water, the Pagoda is ideal for small to medium sized dogs. Choose from one of 4 colors for a functional accessory that will compliment your home. People who have purchased this product have liked its compact and stylish design, choice of materials and ease of cleaning. The motor of the PetSafe Drinkwell Ceramic Pagoda Fountain has an impressive lifespan and it produces a good flow with regular filter changes. Some fans of this product enjoy the therapeutic sound of the water flowing. as well. When purchasing this product be mindful that it should be used in conjunction with PetSafe filters. Filters made by other manufacturers are known to clog the system, resulting in the need to change the filter daily. Some of the components are weak and prone to breaking, rendering the fountain unusable. Whilst there are people that enjoy the babbling sound of water, there are people who consider it to be Chinese water torture. Buyers noted that PetSafe filters must be bought for replacements. Although they can be more expensive, other filters have caused a clog in the system. Some reviewers also noted that a few components of the fountain are weak and prone to breaking, rendering the fountain unusable. The beauty of the Torus from Heyrex is that it doesn’t require batteries or electricity – the water is gravity fed. When your dog drinks, the fresh, cool filtered water automatically flows from a 2–gallon reservoir contained in the walls of the Torus. Heyrex customers have found the Torus to be great for providing their dogs with cooling water on hot days. It’s a ‘go anywhere’ best auto fill dog water bowl with a valve that locks the stored water inside for transit. The weight of the water and the geometry of the Torus make it a stable too, and soft rubber feet help to prevent accidental spills. There are a couple of design bloopers that stop the Heyrex Torus Ultimate Pet Water Bowl from being exceptional. The reservoir is a breeding ground for bacteria, as it can’t be cleaned internally. It’s also impossible to tell when the reservoir is empty. Heyrex has conjured up a wonderfully functional, convenient and environmentally sound water bowl in the Torus. The company has a way to go with its design but it is no doubt working on rectifying that. The Drinkwell 360 is the Porsche of auto-fill water bowls. Another product from PetSafe, this best auto fill dog water bowl is made from stainless steel. It’s not only hygienic, but also stylish and dishwasher safe. Everything that could be customizable is customizable. From the number of free-falling streams to the level of water flow; it’s all in your hands. This fountain does what it claims – it allows dogs to drink freshly filtered water from any side of the bowl. With the capacity to hold 1-gallon of water, it is ideal for large dogs or multiple pets. The stainless steel design makes it easy to clean by hand or in a dishwasher. Customers love that there’s nowhere for grime to hide. 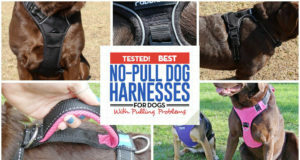 Choose from 5 changeable free-falling streams and a flow level to suit your dog, for the ultimate luxury drinking bowls. If you don’t like the constant sound of babbling water you can silence the Drinkwell 360 Pet Fountain by choosing the lowest setting. Things to improve with this design include the width of the bowl itself – it’s currently very narrow. Many reviewers have found the plastic clips ugly and too easy to unclip by accident. It’s a shame that the inner portion is made from plastic as it puts off customers who are cautious about plastic contamination. For the dog owner that want full gadget control of their dog’s drinking habits this is the model to go for. Your Great Dane won’t go thirsty with this 2.25-gallon drinking fountain from PetSafe. Keep the fresh, filtered water flowing all day from this dishwasher-safe, non-toxic plastic water fountain. A removable 1-gallon reservoir provides extra capacity and easy refill. There’s an anti-bite cord cover to keep inquisitive pups safe. Dog owners have said that they particularly like the quietness of the motor and the easy-to-clean design. There have been a few fairly major issues with the Drinkwell Big Dog Fountain, but they are not commonplace. Online reviews show that there is a weakness in the base, resulting in leaks, and the motor has died within 3 months of purchase on the odd occasion. If you own a large dog or several small dogs, then this Drinkwell model could well entice you. It’s a good option for owners that find the constant sound of trickling water infuriating. Some of the technical failures make this water bowl less appealing than some of the other best auto fill dog water bowl products. However, given the high volume of positive online reviews it’s probably worth taking the gamble. The Replendish is an affordable two-in-one waterer and feeder from Petmate. It stands apart from other bowls on the market, not just because it doubles as a feeder, but also because it contains Microban for 24/7 bacterial protection. Made from PET plastic, it is safer for pets and more environmentally sustainable than PVC alternatives. One of the most appealing features of this product is its capacity; making it ideal for larger dogs, busy lives and trips away. It is available in .5-, 1-, 2.5- and 4-gallon capacities. Users have found the filters to be much more effective and cheaper than filters for alternative models. It lives up to its claims of being of a sturdy construction and resistant to odors and staining. Although the Petmate Replendish Pet Waterer with Microban has a base that is dishwasher safe, it is very difficult to remove the bottom section for cleaning. Some parts of the product are awkward to clean. Delivery may be a bit of a headache as a significant number of people have received their new water bowl minus one or two crucial parts. Petmate’s Replendish is a cost effective dual watering and feeding station – very handy if that’s what you need for your pet. If you’re only looking for a water bowl then it’s still worth comparing this to single purpose water bowls as it could well offer greater value for money.